Riding a bike is an important skill that every kid should learn. No matter how young or old they are, getting them into this fun activity is definitely a must. 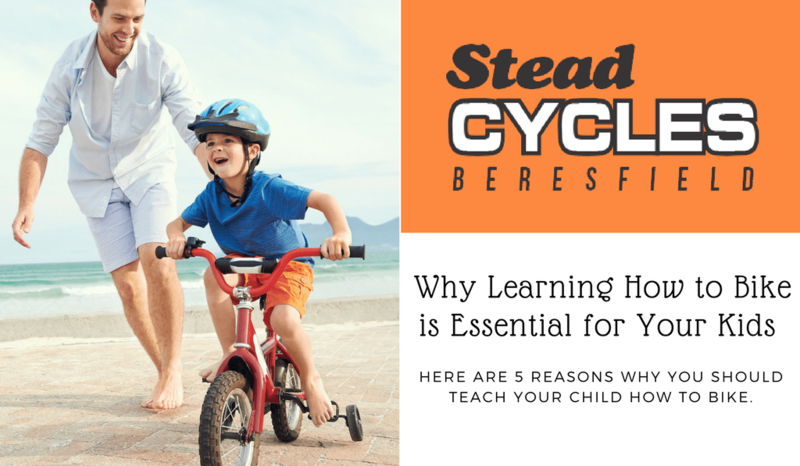 It is essential for those at a young age to realise all they can learn and accomplish just by learning how to ride a bike. Not only does it provide hours of enjoyment, but it is also a way to keep healthy. More than that, your kids can pick up a ton of life lessons by pedalling around on their bike. 1. Having a good time! It is important for children to have fun and enjoy themselves. That’s what makes kids, kids! They are always looking for different ways to satisfy their creativity and curiosity. One exciting activity that you can have them try is learning how to ride a bike. It is as simple as putting one pedal in front of the other. However, riding around on a bike can prove to be such an exhilarating activity for kids. They will have a great time getting their blood pumping and feeling the wind on their face. Especially since this may be something they have never done before, learning a new life skill will be an interesting experience that will grab their attention. 2. Getting started on that active lifestyle. Young or old, everybody should participate in physical activities. But it’s much better to get started right from an early age. It is recommended by The Australian Guidelines for Health that kids should take part in physical activity (of any sort) every day for at least an hour. Motivating your kids to ride a bike will inspire them to become healthy individuals. Being fit and in good shape is important no matter the age. More than that, learning to ride a bike will also help instil in them health and exercise habits. Your kids will be able to hold on to all these for years to come. When learning how to ride a bike, falling down and scraping your knees can’t be avoided. However, the important thing it teaches your child is to not give up. Every time they get up after failing, success will then feel all the more sweet. Teaching valuable life lessons to your children that will certainly stay with them. They will always be grateful to you for this. Moreover, learning something new will aid children in becoming more focused and driven. This can certainly help them out in school as well as when facing other challenges in life. 4. Ride around with friends. Biking a bike is an activity that your children can do with other people. Apart from something physical, it then becomes a social activity as well. You can offer to join you child in riding around. They can also go with their friends and explore your neighbourhood. This can become a great way to get together and bond. 5. Help the environment in your own little way. Riding a bike is good for the environment because it emits zero pollution and helps decongest roads. Teach this to your kids so that can learn the importance of reducing their carbon footprint. They can surely carry this advocacy on until they get older, and even pass it on to other people. Looking for the best bikes? Contact Stead Cycles! If you want to get the best bike for your child, all you have to do is head on over to Stead Cycles. We have a great selection of bicycles, bike parts, and bike accessories. Your child surely deserves nothing less than the best!